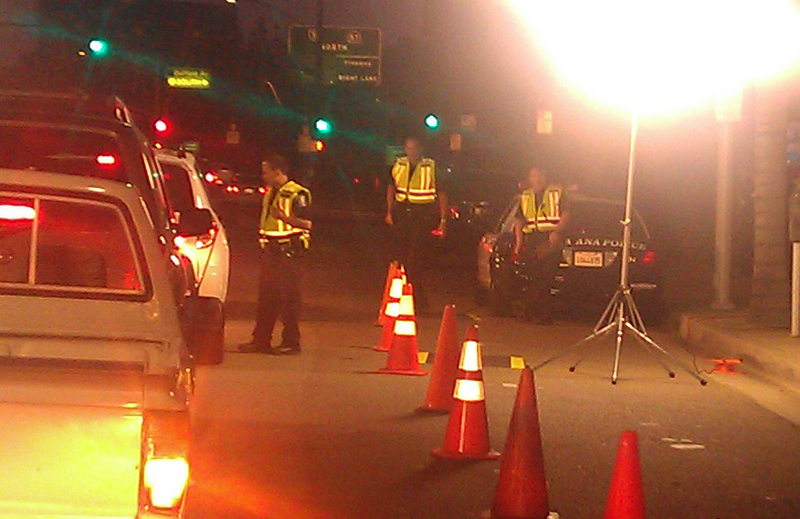 SANTA ANA, Calif. (March 13, 2015) — The Orange County Sheriff’s Department DUI Task Force will be deploying roving DUI patrols during this St. Patrick’s Day Holiday weekend within the cities of Mission Viejo, Lake Forest and Rancho Santa Margarita. In addition to regularly scheduled DUI Task Force officer, these DUI patrols will be looking to stop and arrest drivers who are impaired by alcohol or drugs. City of Irvine: Fri, August 15, 7:00 p.m. – 3:00 a.m.
City of Stanton (OCSD): Fri, August 22, 6:00 p.m. – 2:00 a.m.
Cities of Cypress, La Palma, Los Alamitos and Seal Beach (Multi-Agency): Fri, August 22, 7:00 p.m. – 3:00 a.m.
Cities of Irvine and Tustin (Multi-Agency): Fri, August 29, 7:00 p.m. – 3:00 a.m.
SANTA ANA, California – (May 8, 2014) – Deputies from the Orange County Sheriff’s Department DUI Task Force will be deploying this weekend to stop and arrest alcohol and drug-impaired drivers in the Department’s ongoing traffic safety campaign. DUI saturation patrols will deploy on Friday, May 9th at 7:00 p.m. until Saturday, May 10th at 3:00 a.m. in the cities of Mission Viejo, Lake Forest, and Rancho Santa Margarita. These patrols will be targeting areas with high frequencies of DUI collisions and/or arrests. SANTA ANA, CA (July 2, 2013) – Most Americans may not realize it, but the Fourth of July is one of the deadliest holidays of the year due to alcohol-impaired driving crashes.